Where do I select what YEAR calendar to create? 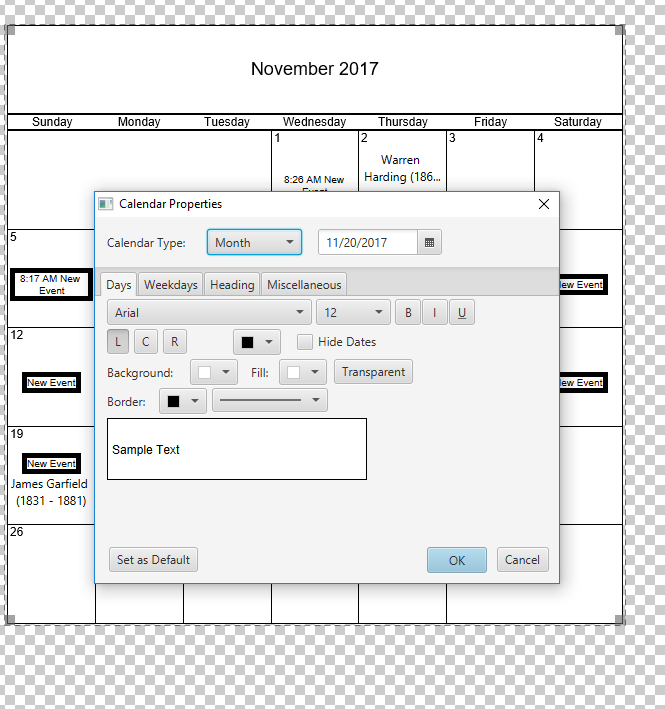 Status: offline When I go in to create a new calendar, the 2017 template automatically appears with no option that I can see to create any other year. I created and completed my whole calendar before I realized it was 2017! I have tried every option I can think of to find the place to select what year of calendar you want to create. Please help! Status: offline Just double click on the month and year on your monthly calendar object and change the year. Status: offline I am making a yearly -- monthly calendar (shows all 12 months). I went through and changed each month to 2019. Saved. The next time I opened the file, it went back to 2017. Isn't there a way to save defaults? When I save a file, shouldn't it be like I last saved it?